As a restoration professional, you would think your commercial insurance policy would cover damage to the work you do and mistakes that might happen. That might not be the case. 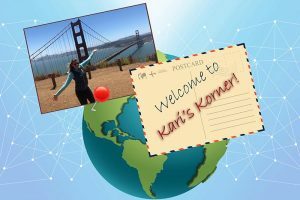 In the last “Kari’s Korner,” I wrote about what “your work” means for a carpet cleaner regarding insurance. This month I am going to carry that same topic on to a restoration contractor. Many may be thinking “your work” would be the same for all trade contractors. However, when operations involve regulating the relative humidity within a structure, we in the insurance industry look at “your work” on a more macro scale than the one thing you were called to a job to work on. Although the way we look at “your work” as a restoration contractor is a bit different from how we look at a carpet cleaner, the core concept remains the same. In general, “your work” is the thing you were called to work on. As a carpet cleaner “your work” is the carpet you were called to clean. What would “your work” as a water extraction or restoration contractor dispatched to a flooded home be in the eyes of an insurance company? Well, “your work” is the thing you were called in to work on, which is bringing down the relative humidity in that entire home. One would say the whole home is “your work”! The “your work” exclusions on your General Liability policy and Contractors Environmental Liability policy exclude coverage for property damage to “your work” arising out of your operations. In the case of a restoration contractor at a water-damaged home, “your work” applies to the entire home; in theory, you have no coverage for any damage to that home caused by your operations. Imagine one of your dehumidifiers short-circuits and starts a fire, burning down the entire home. We would expect the “your work” exclusion to trigger, because the property damage to the home from the fire resulted from your operations. It would exclude coverage for the whole loss because “your work” was the entire home. Therefore, “your work” exclusions are especially deadly for restoration contractors. The good news is solutions exist to fix this immense gap in coverage. There are wholesale insurance brokers specializing in your industry that can help.